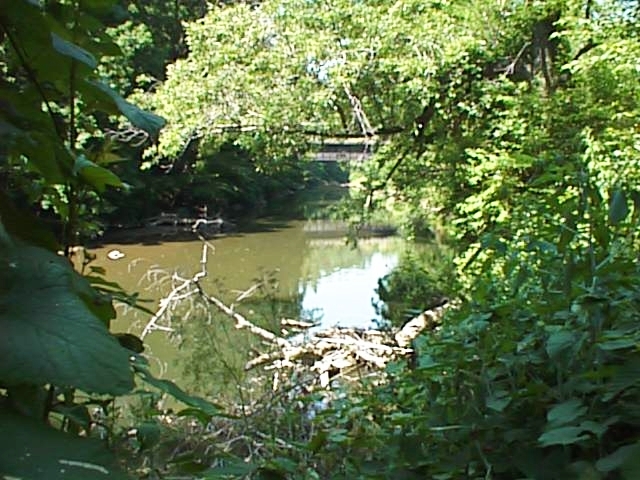 The Chester Creek Branch, originally of the Pennsylvania Railroad, was constructed shortly after the Civil War and parallels the scenic Chester Creek. 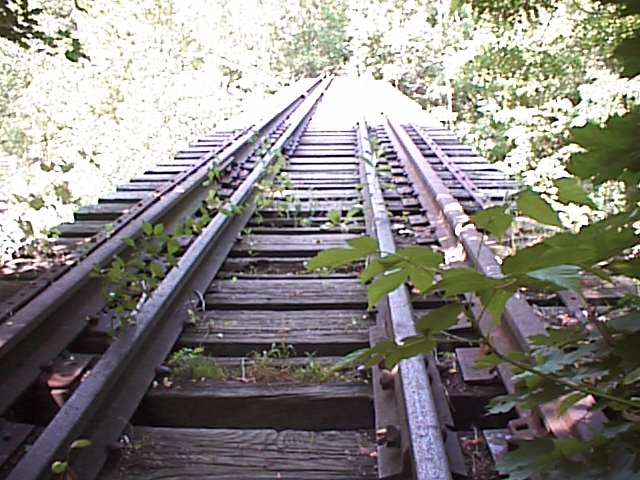 The railroad served the interests of local businesses and created opportunities for new ventures as it traversed the gently rolling hills and mature wooded areas of the Chester Creek Valley. During the Industrial Revolution, mills, factories, and warehouses located adjacent to the rail while new communities sprouted near rail depots. The Chester Creek Branch was a vital link in the economic development of Southern Delaware County. As modes of transportation diversified patterns of development changed. With the advancement of the automobile and the interstate highway system, rail service fell out of demand, and many Chester Creek businesses relocated. After the Chester Creek Branch sustained severe flood damage in the early 1970's, the line was abandoned and finally deeded to SEPTA. Since the abandonment, much of the rail corridor has become overgrown. Many of the bridges, however, remain intact, and the tracks and the ties were never removed. Meanwhile, many former industrial-use buildings along the corridor have been adapted to residences and businesses, or have been preserved as historical sites and recreational areas. Rail-Trail projects are typically developed and maintained by local, county, state, or federal agencies in partnership with non-profit citizen groups. Since the Fall of 1994, several citizen groups in Delaware County organized the Friends of the Chester Creek Branch and laid the ground work to convert the old Chester Creek Branch rail line to a multi-use trail. The Friends of the Chester Creek Branch were originally incorporated as part of the Chester-Ridley-Crum Watersheds Association, a not-for-profit organization. In the summer of 1997, the Friends of the Chester Creek Branch incorporated separately as a not-for-profit organization dedicated primarily to the Completion of the Chester Creek Branch Rail-Trail Project. If you would like to keep up to date on the Chester Creek Branch Rail-Trail, we invite you to join as a member. Members receive a quarterly newsletter, and discounts on Chester Creek Branch Rail-Trail merchandise. However, most importantly members help us build this trail through their contributions, and support in the community. If you would like to see the historic Chester Creek Branch Rail-Trail built, join us as a member and tell your friends about us also!